TAGS with smiling or sad faces have started to appear on local rubbish bins as the City of Armadale begins its bin auditing and tagging program. The program will see City officers do a quick visual assessment of the bin’s contents just before it is collected. Bins will be inspected three times in randomly selected streets with the tags to outline if the bin has the correct contents. A sad face will indicate contamination and what those items are. 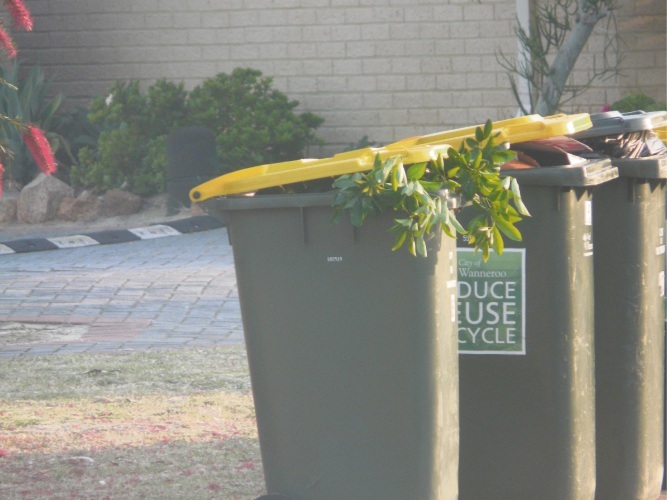 Armadale mayor Henry Zelones said recycling contractor Suez had advised there were often incorrect items found in recycling bins including soft plastics, clothing and textiles, nappies, food waste, items placed in plastic bags and meat trays. “We know people want to do the right thing for the environment, but many households might be unaware of recent changes to what is accepted in their yellow lid recycling bin,” he said. “The tags will therefore assist individual households to reduce contamination of recyclables. “This initiative is necessary due to the changes last year to what can be recycled, which resulted from traditional overseas markets banning the import of 24 types of waste. “Not all households and suburbs will be involved in the program, a representative sample of households will be chosen to see how well the community is doing.